Earlier this month, tucked between the daily scandals and Constitutional crises emanating from the White House, U.S. Attorney General Jeff Sessions announced a plan that will cost additional tax dollars. He’s ordered federal prosecutors around the country to get tough again on crime, across the board. Punishment to the max. Go for the toughest sentence possible, no matter what the crime or the circumstances. Leniency will require special permission. This policy flies in the face of national crime and punishment trends and prevailing public views on imprisonment. But for Sessions and others like him, it makes no difference. It’s the kind of prosecution attitude that landed a kid named Richard Wershe in prison for life. Richard J. Wershe, Jr. has never walked the streets as an adult. He’s been in prison for 29 years for a non-violent drug dealing conviction from an arrest when he was 17 years old. Drug hit men who have murdered multiple victims have been tried, convicted, sentenced, imprisoned and released in the time Wershe has been in prison. He’s been described as a model prisoner, yet he’s been kept behind bars as a result of a law enforcement vendetta. Wershe was an informant for the FBI and he told on the wrong people. He told the feds about corruption involving politically powerful cops and the brother-in-law of Detroit’s former mayor, Coleman Young. He’s paid a horrific price. Wershe could be a poster child for the argument against mandatory minimum sentences. Yet, U.S. Attorney General Jeff Sessions wants to return to that kind of sentencing at the federal level. More on that in a moment. Attorney General Jeff Sessions wants to fill these up again. This isn’t entirely accurate or fair. 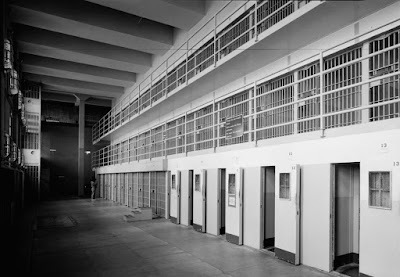 A public opinionsurvey last year by the respected Pew Charitable Trusts found six in ten Americans believe there are too many drug offenders in our nation’s prisons. 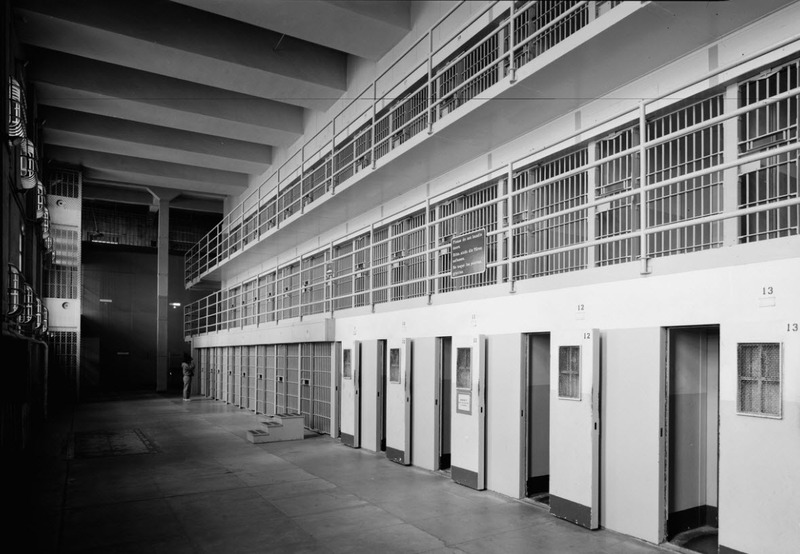 The same survey found an overwhelming majority of Americans—79 percent—agree mandatory minimum sentences should be abolished and judges should be given latitude to let the punishment fit the crime. Then there’s U.S. Attorney General Jeff Sessions and his ilk. Sessions is a vengeful throw-the-book-at-‘em kind of prosecutor, even though there’s no evidence this has any effect on the crime rate. In fact, the evidence suggests just the opposite. As a nation, we have been moving toward a more balanced and reasoned view of crime and punishment. Are we in greater danger as a result? No. The overall national crime rate is trending—down. Survey and statistical compilations by the Pew Charitable Trusts, show violent crime in the United States is down sharply in a trend that has continued over the past quarter century! It’s not down some piddling amount, either. The FBI’s annual compilation of crime statistics from police and sheriff’s departments nationwide show violent crime fell by fifty percent—50%! !—between 1993 and 2015. The Bureau of Justice Statistics (BJS) regularly surveys 90 thousand households about crime issues. During that same time frame, the BJS surveys show Americans believe violent crime declined by 77 percent. Property crime is down over the long term, too. In announcing a return to a policy of the past, Sessions claimed the homicide rate is on the rise. Like the claims of many politicians, there’s a nugget of truth in what he says. Homicide rates are climbing—in some cities. But overall, crime is in decline nationwide. It appears Sessions is pandering to roughly a third of the American public that mindlessly supports every politician who speechifies that we need to “get tough on crime.” This same third of the population usually makes the most noise about hating—absolutely hating—to pay taxes. Duh. Do these simpletons think prisons are free? Where do they think the money comes from to keep the prisons running? I’m assuming here that these people think. That may be a reckless assumption on my part. Careful observers of the War on Drugs might note Sessions and his cohorts and predecessors never ever ever try to stop the flow of the money of the international drug trade. That would mean putting some bankers in jail. Good luck with that. Name me one banker or financial industry tycoon who has been prosecuted for enabling the massive flow of illegal drugs by taking a cut of the action to keep the cartels in business. That’s why the War on Drugs is such a costly failure. It’s easier to give the appearance of doing something by arresting and prosecuting the bottom feeders, the lowest part of the illegal drugs pipeline. You can be sure all the “kingpins” and “drug lords” the DEA, FBI, U.S. Customs and thousands of local police narcs have locked up are essentially bottom feeders who sit in our prisons while their replacements push dope as fast as they can until they, too, get caught. Corrections, the prison system, gobbles up about 20 percent of the Michigan state budget. That’s a huge amount of money. 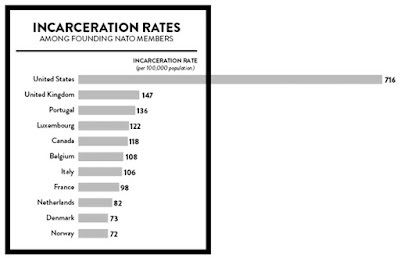 In Michigan, it costs about $40 thousand tax dollars per year to keep someone locked up in prison. Federal prisons are a little cheaper at a little over 29 thousand dollars-per-inmate, according to 2015 data, but that cost is multiplied by several hundred thousand prisoners. Is it tax money well spent? Well, sometimes. It’s true there are repeat offenders—recidivism is the term the experts use—who will never be rehabilitated, who can never live within society’s norms and boundaries and rules. Serial killers come to mind. These sociopaths and psychopaths need to be locked up. 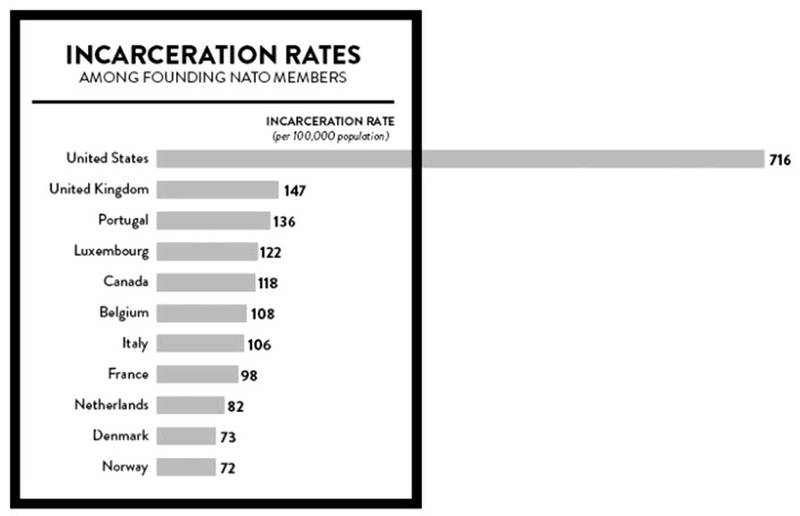 But they are a minority of the prison population. Others may need to be locked up, but not for decades or for life. They need a carefully developed and supervised path back to the outside. It’s going to be hard because society brands them with a Scarlet C forever. They’re ex-cons and ex-cons always have a challenge becoming useful citizens because society and the economy tend to shun them. It’s hard to be law abiding when no one will give you a chance. But dope dealers? Eh. That’s a tough issue. The standard line from prosecutors and police chiefs is, harsh penalties are a deterrent. Oh, really? As soon as the narcs bust some big “kingpin” or “drug lord” there’s someone else standing on the street corner, so to speak, taking their place. The ink isn’t even dry on the court paperwork for the dethroned kingpin before his replacement is slinging dope in his place. Like Prohibition in the 1920s and 30s, the War on Drugs is a colossal failure. You don’t think so? Then explain why the cost of cocaine is down. The illegal drug trade is the ultimate supply-and-demand business and the never-ending police drug busts have been such a failure at reducing the flow of illegal drugs that there’s a glut of cocaine on the streets. In the meantime, throwbacks like Attorney General Sessions want to spend more tax dollars sending drug dealers to prison. No one in law enforcement, from Sessions on down to the lowest narc, can credibly argue that the War on Drugs has been anything but a failure. As Ralph Musilli, Rick Wershe’s attorney puts it, the War on Drugs is like trying to fight a termite infestation one termite at a time. Well, no. But we haven’t tried demand reduction. Every western country treats drug abuse as a medical/social problem that needs serious public resources (tax dollars) devoted to demand reduction. The dealers can’t deal if the customers disappear. But we haven’t tried that because of what the British newspaper called our punishment addiction. That, and the fact that drug enforcement is a cash cow for many police departments due to draconian forfeiture laws and procedures. It’s widely believed that Albert Einstein once defined insanity as going the same thing over and over again and expecting a different result each time. That could be applied to the War on Drugs. The cops and prosecutors keep crowing about this week’s drug bust of the century. “We really got ‘em this time!” Yes, of course you did. There is a not-too-bright, gullible segment of the population that believes this nonsense. The law enforcement fairy tale about the War on Drugs endures.